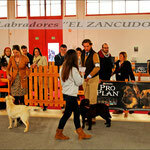 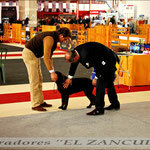 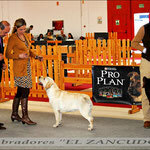 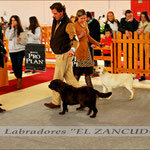 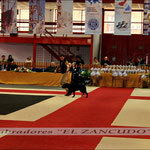 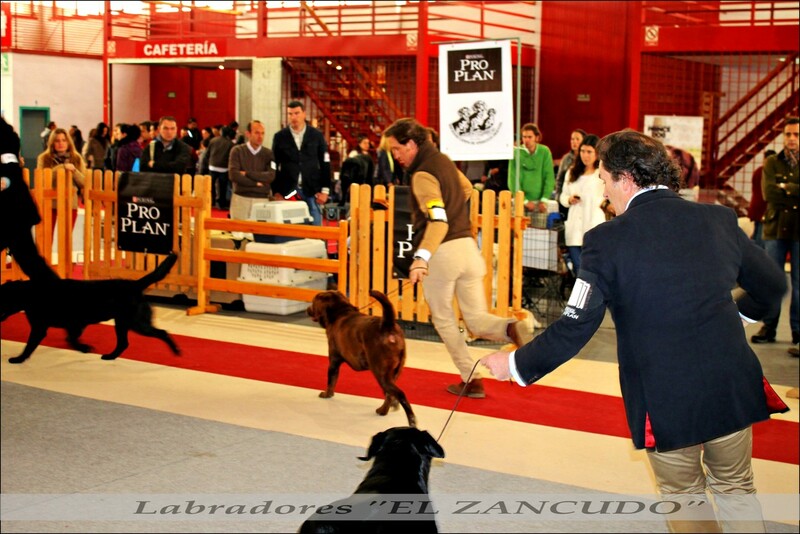 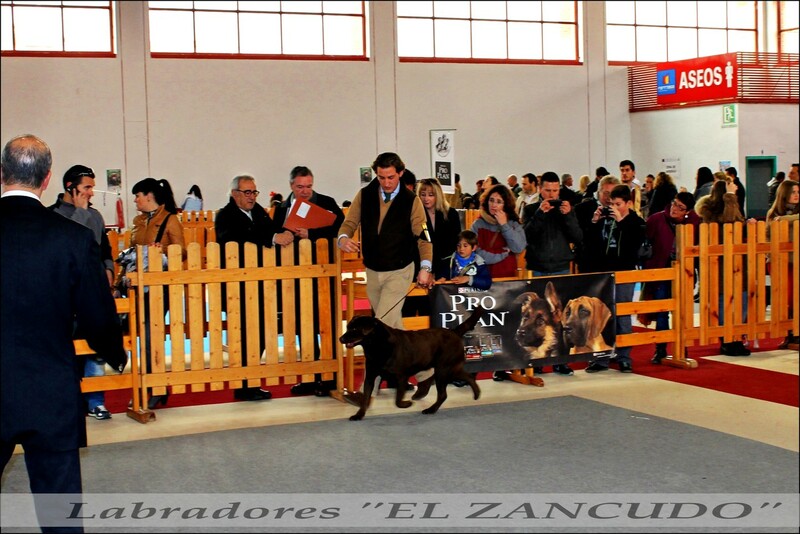 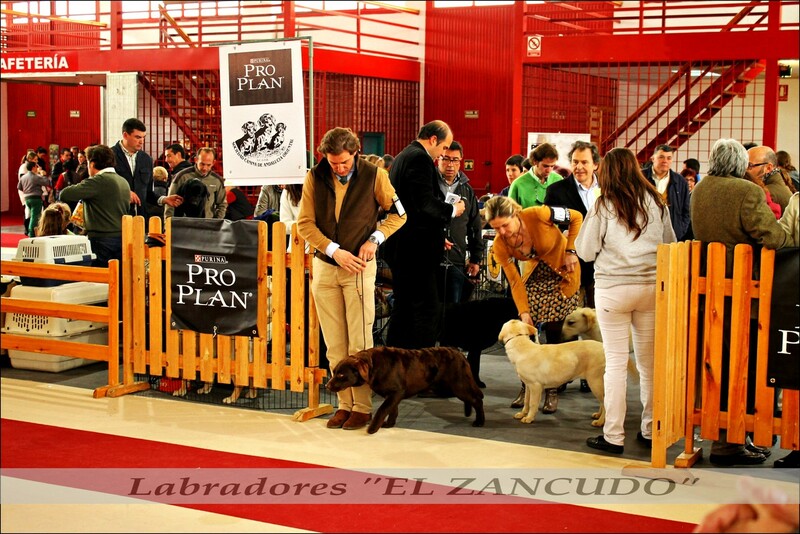 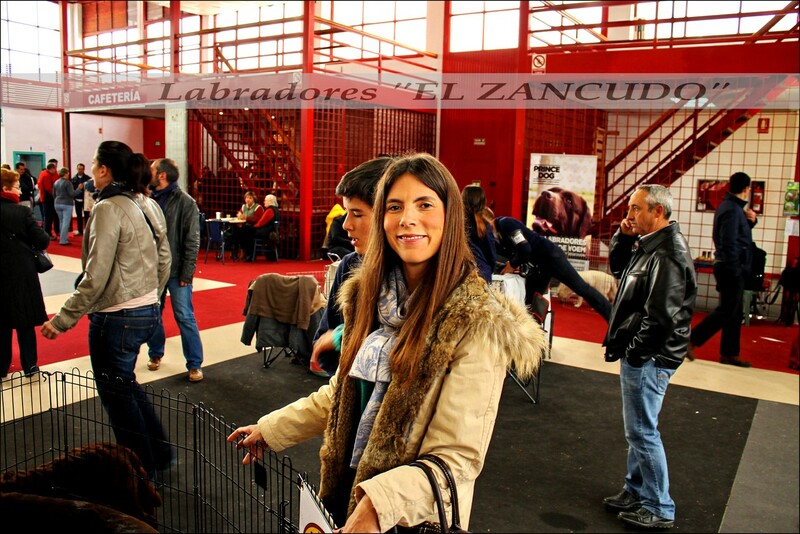 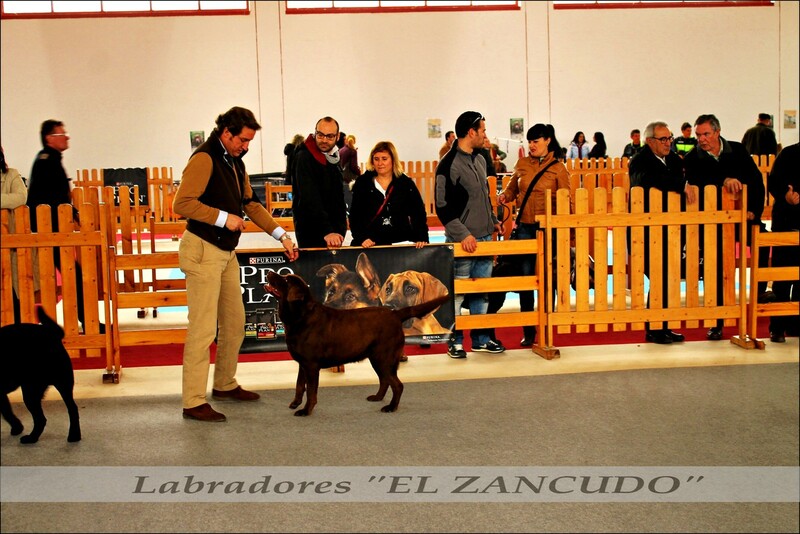 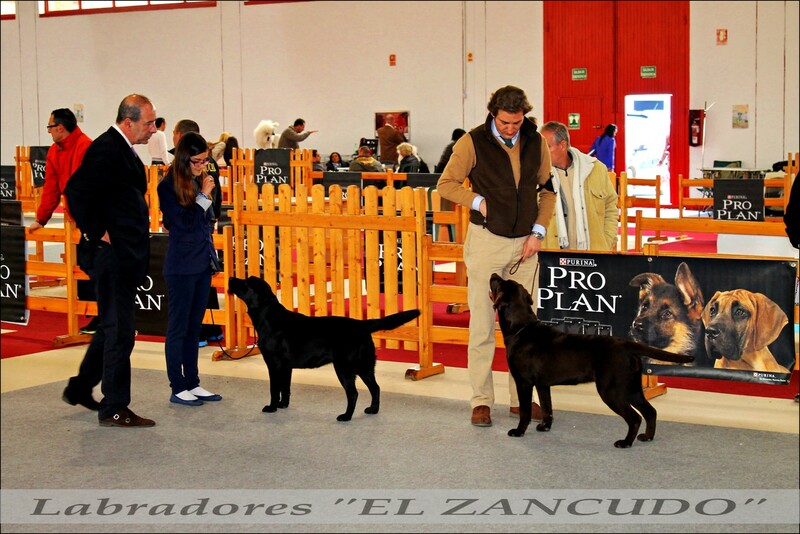 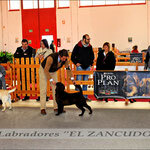 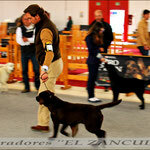 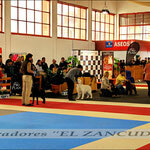 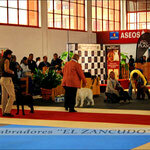 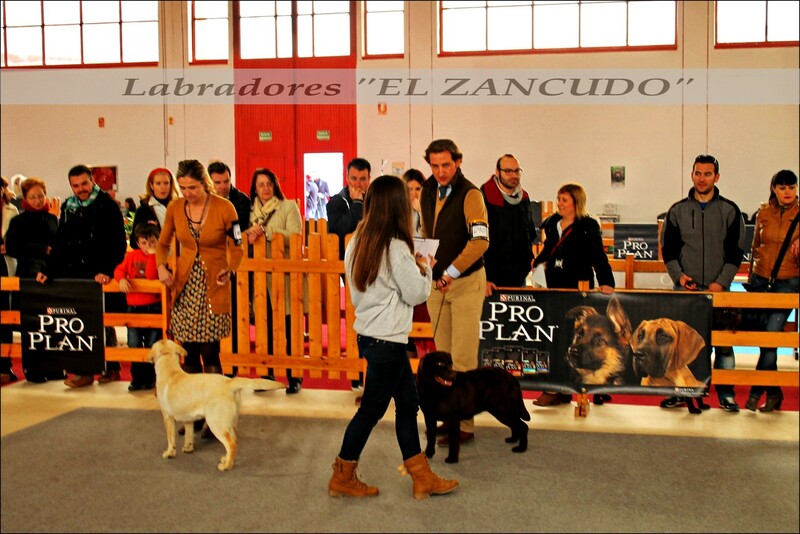 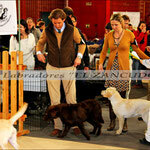 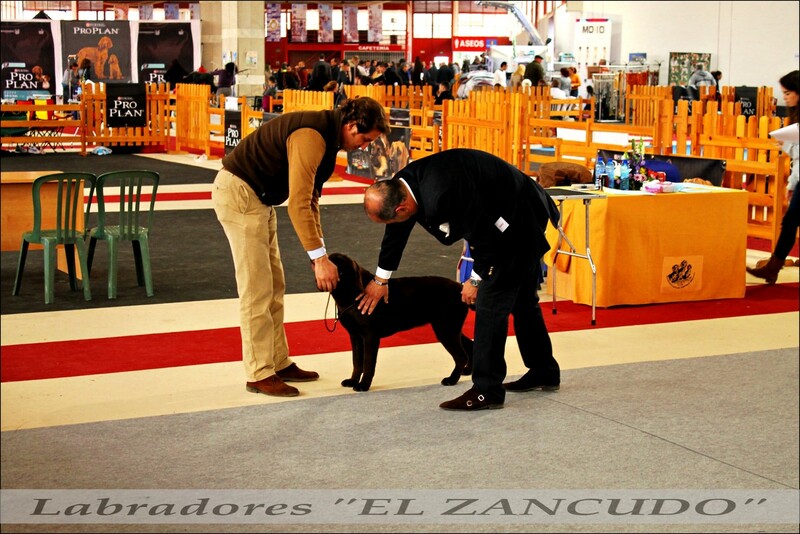 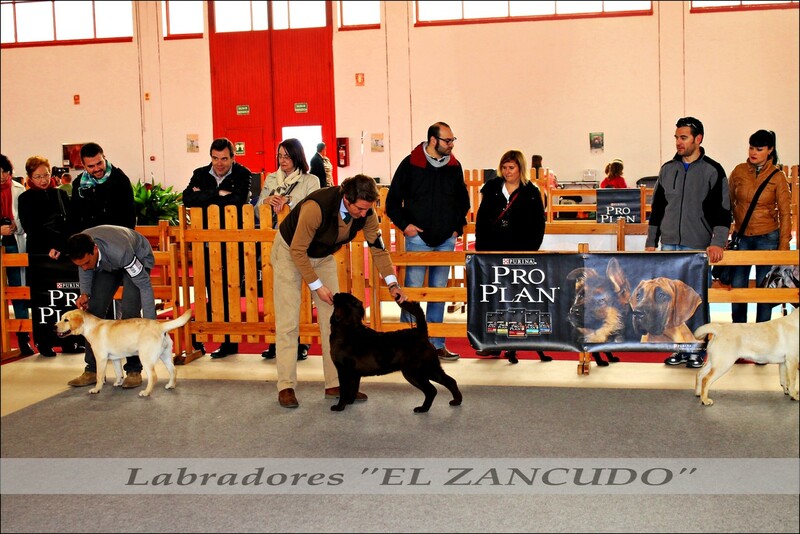 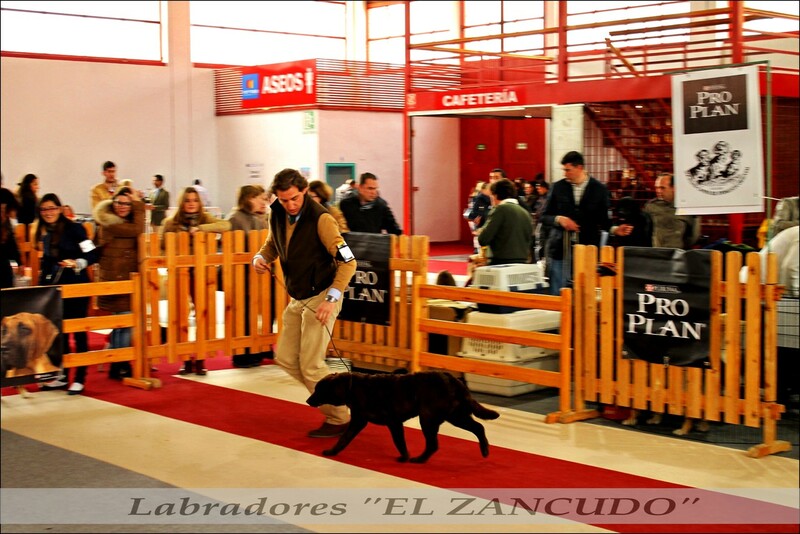 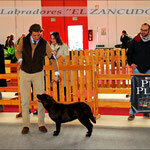 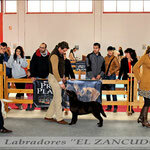 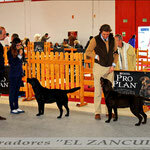 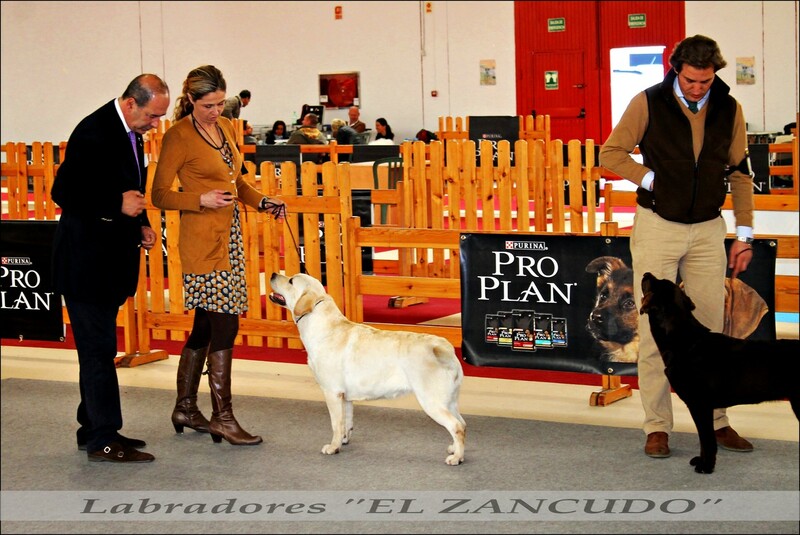 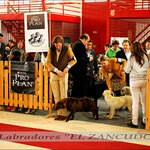 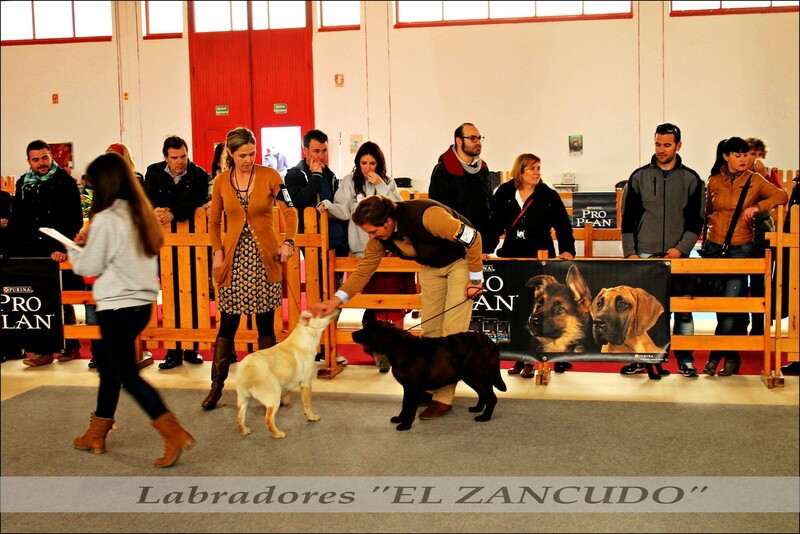 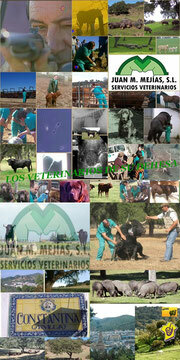 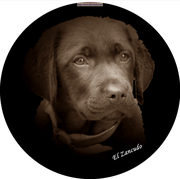 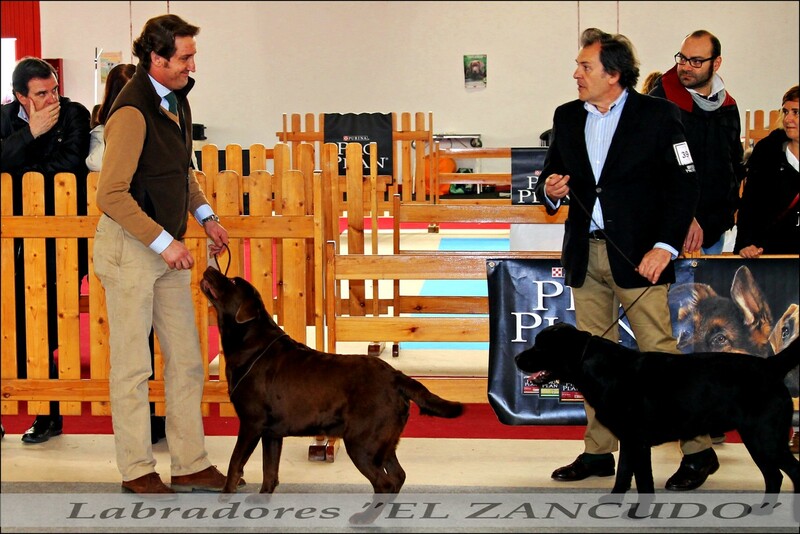 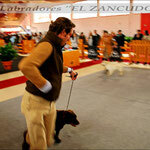 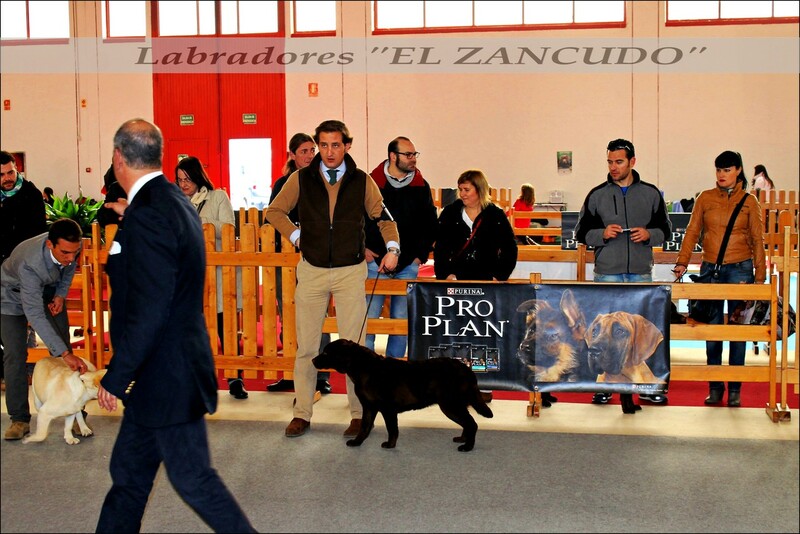 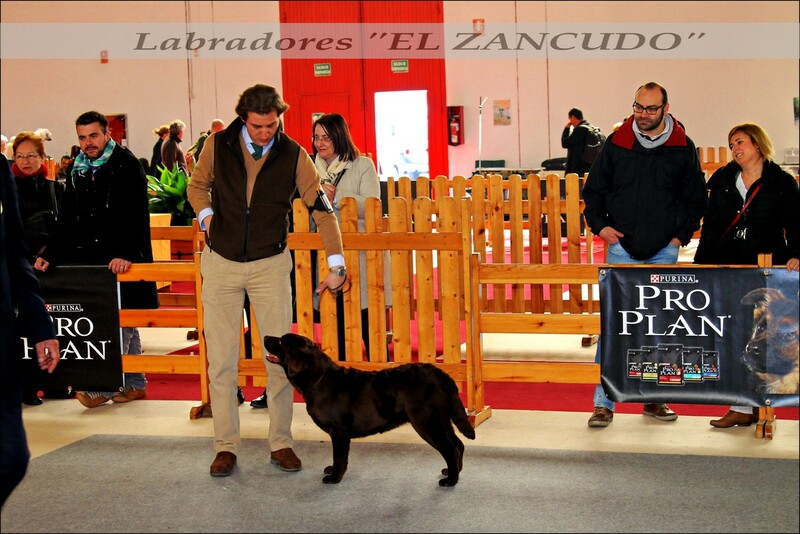 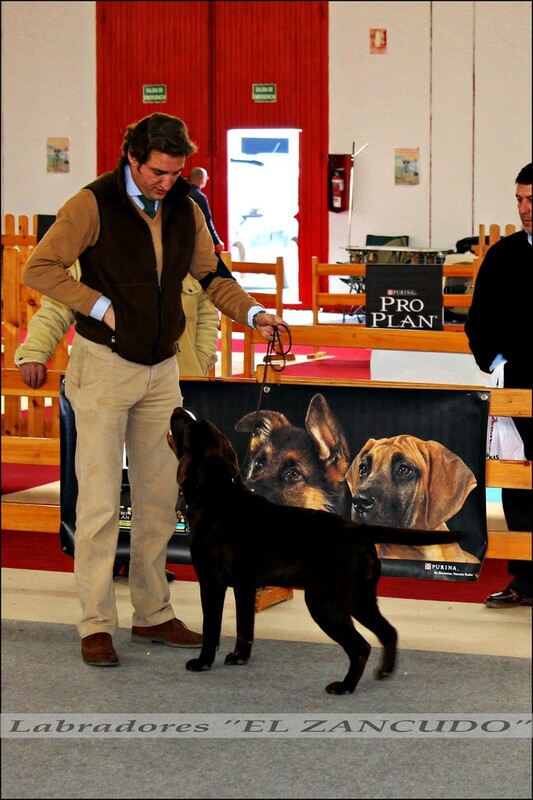 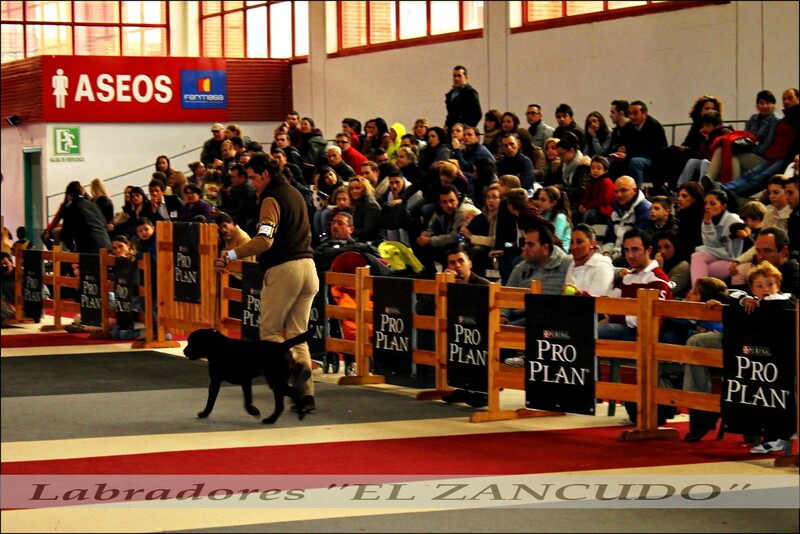 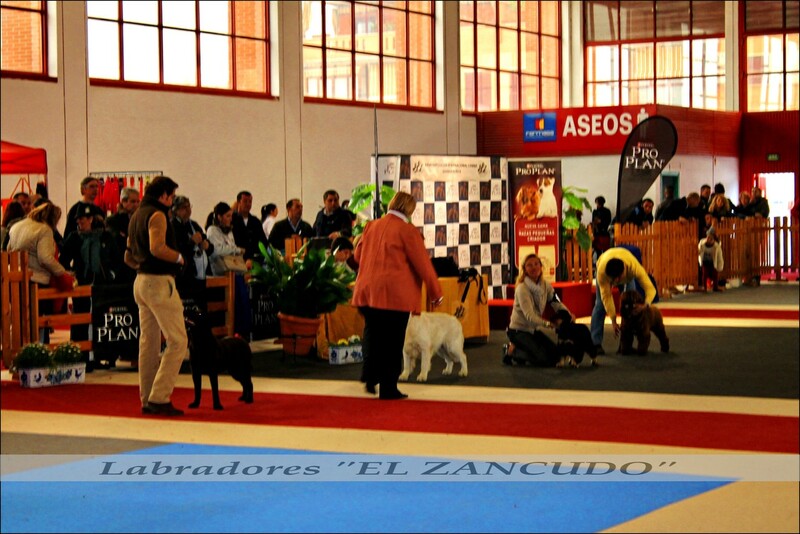 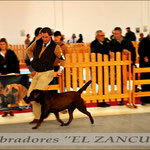 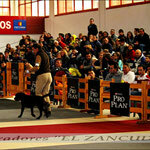 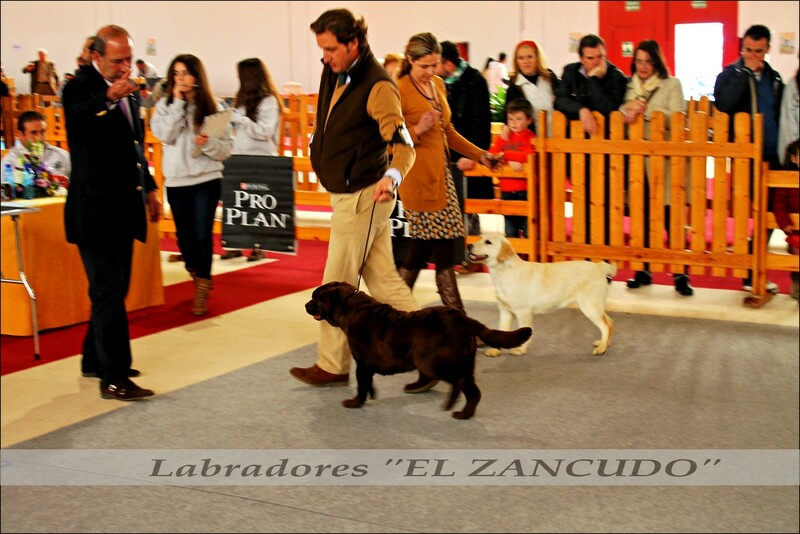 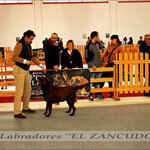 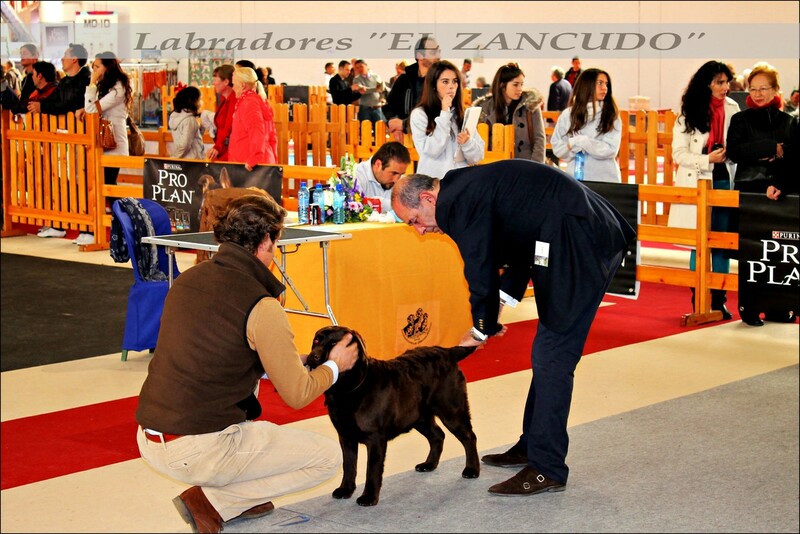 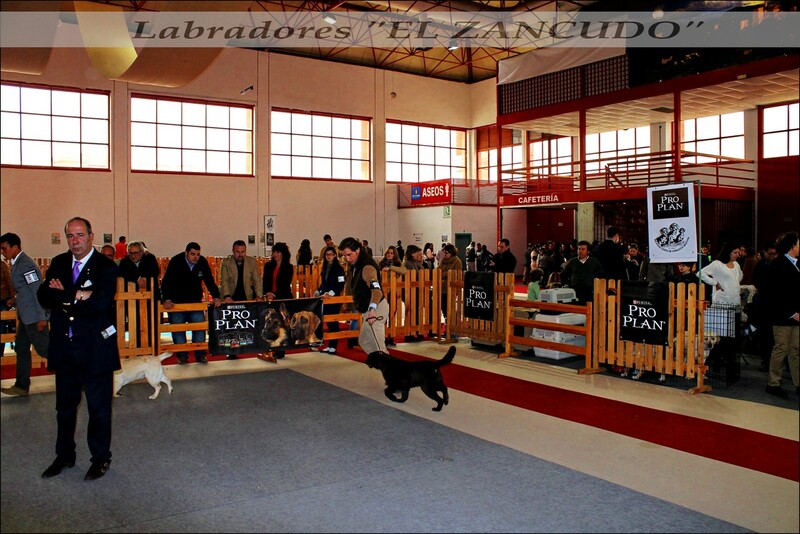 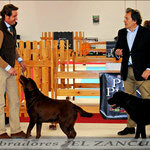 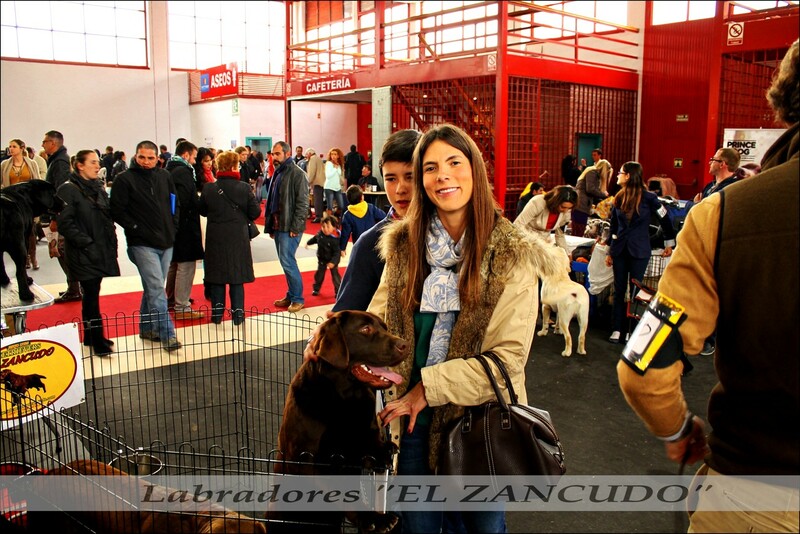 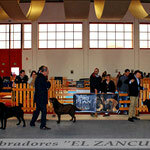 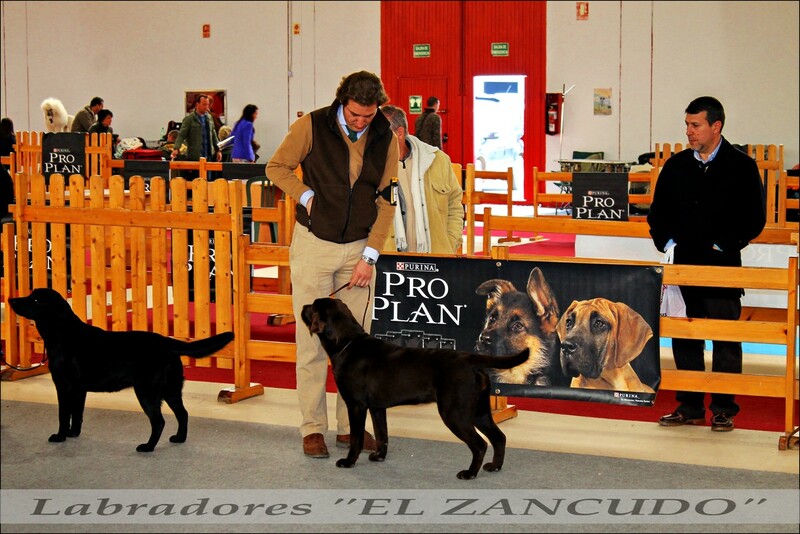 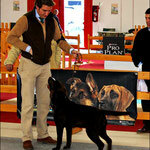 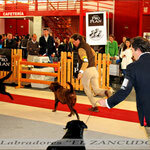 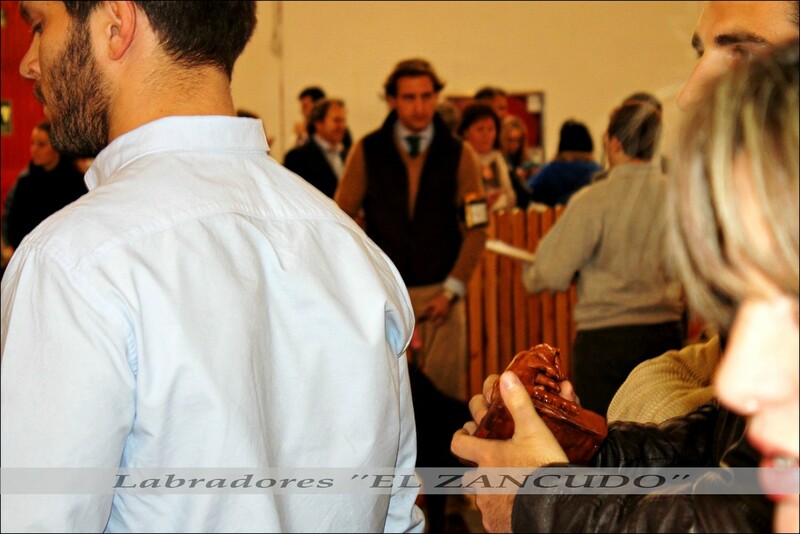 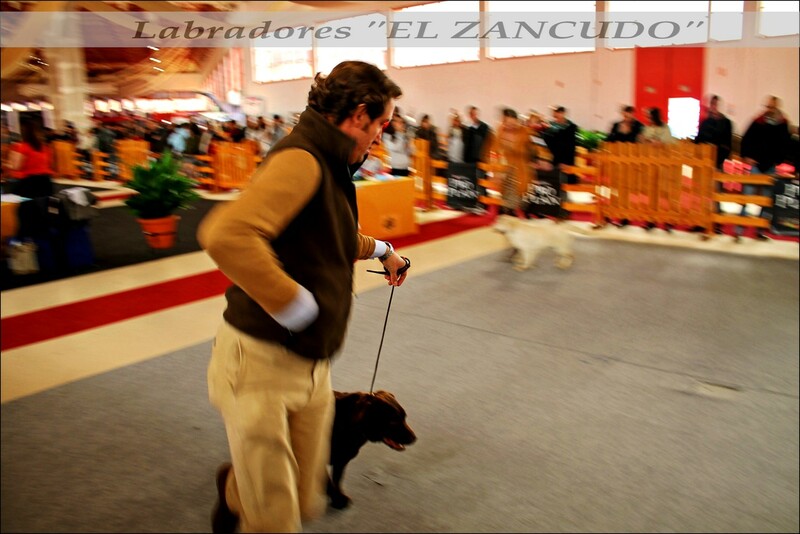 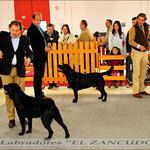 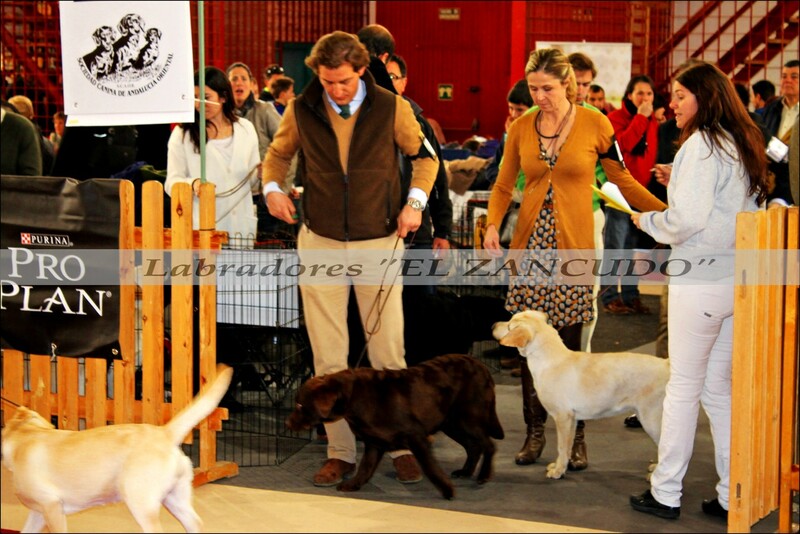 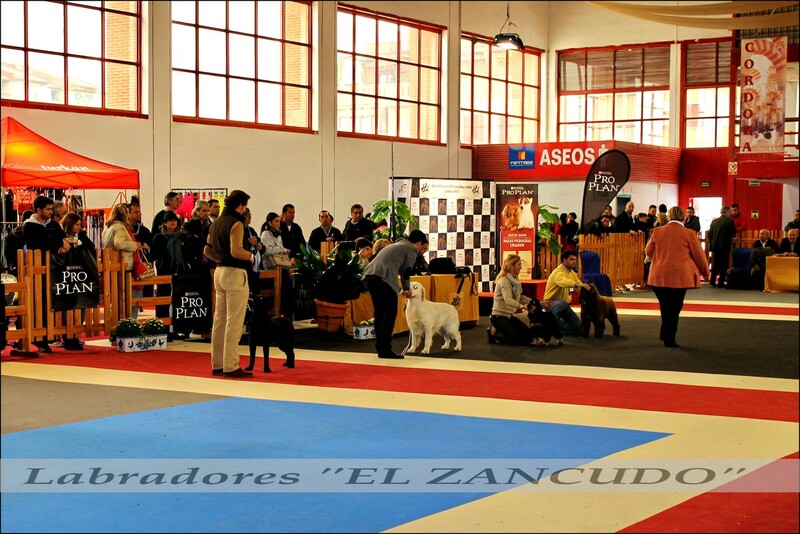 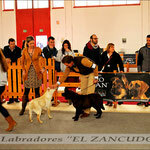 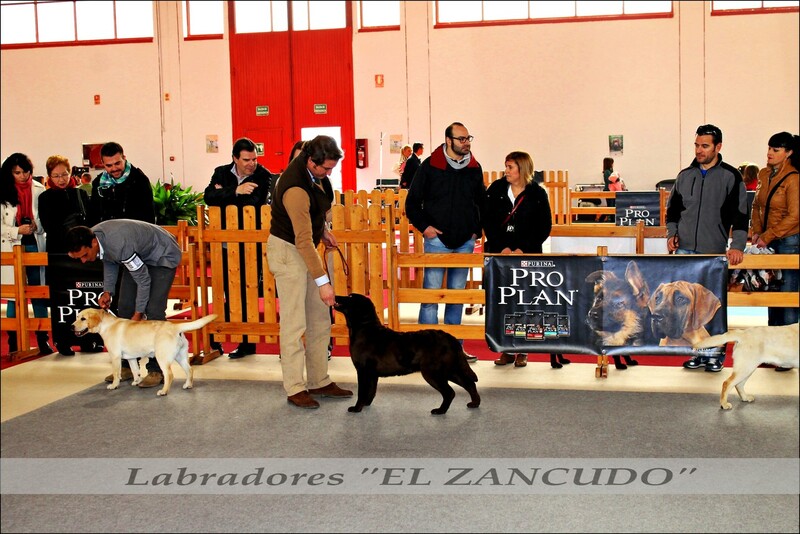 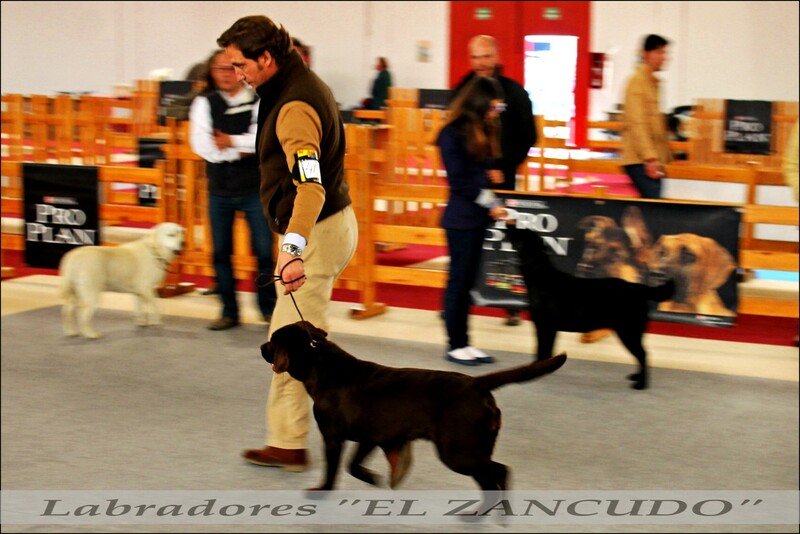 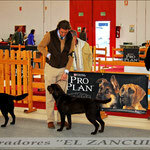 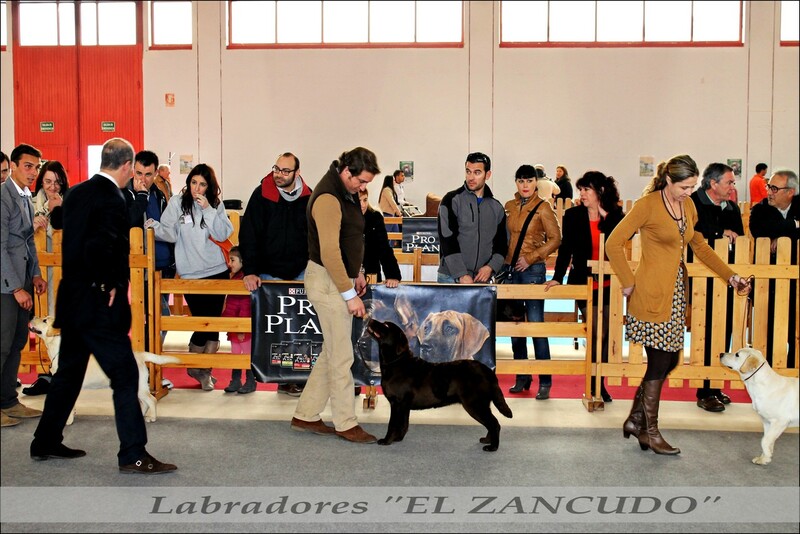 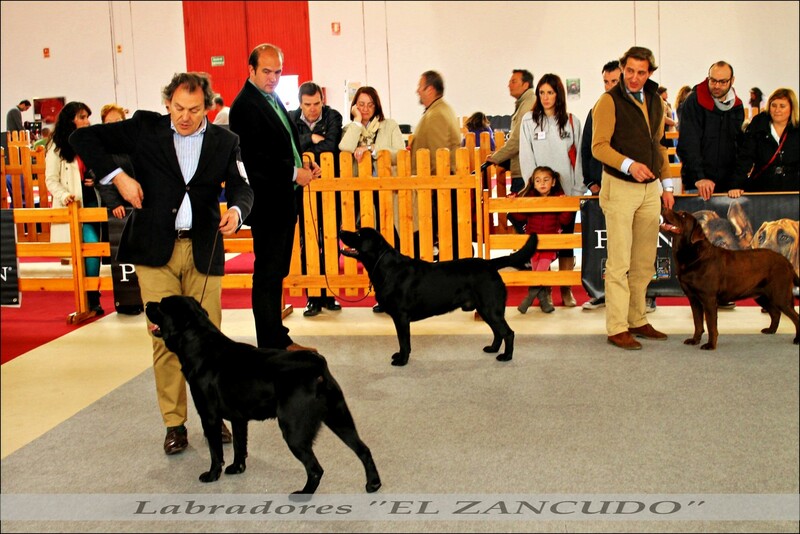 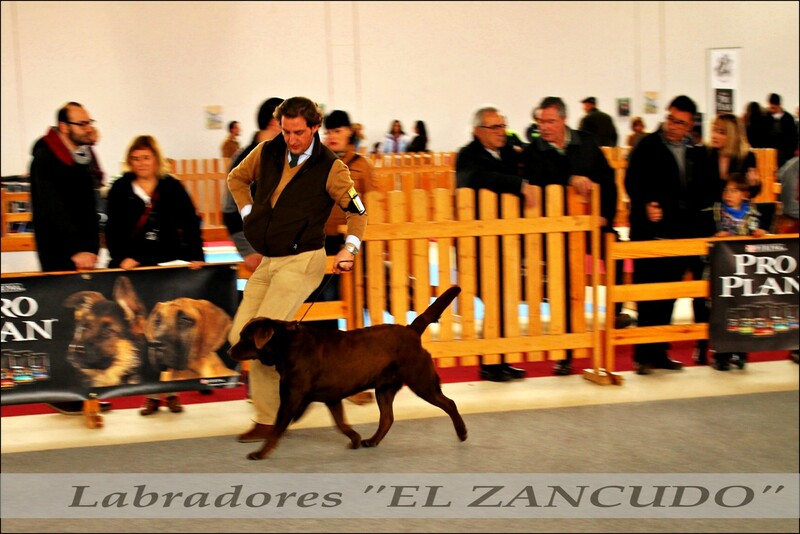 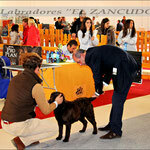 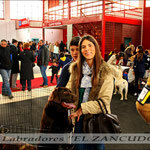 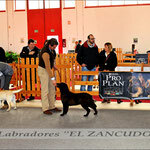 XXIX EXPOSICIÓN INTERNACIONAL GRANADA 2013 - Labradores Retrievers Chocolates, Negros y Amarillos "EL ZANCUDO"
NUESTRA CACHORRA "MIMOSA DE EL ZANCUDO" ,EXC 1º EN CLASE JÓVENES HEMBRAS, ( CCJ ) Y MEJOR JOVEN DE LABRADOR RETRIEVER, OBTENIENDO "CCJ" EN LOS 2 DÍAS DE CONCURSO , EN LA EXPOSICIÓN NACIONAL Y EN LA INTERNACIONAL. 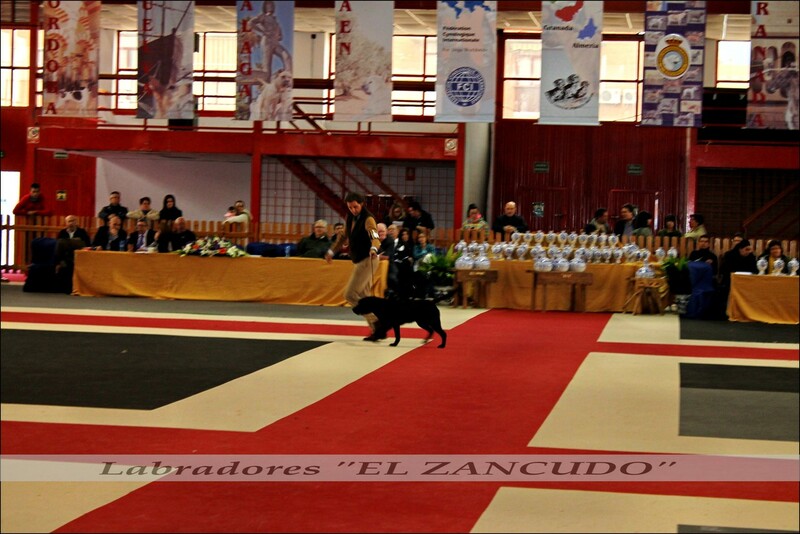 "BR SUMMER STORM KV MIKE", HA OBTENIDO 2 EXC. 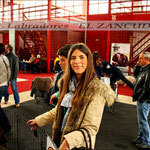 3º EN AMBAS EXPOSICIONES. 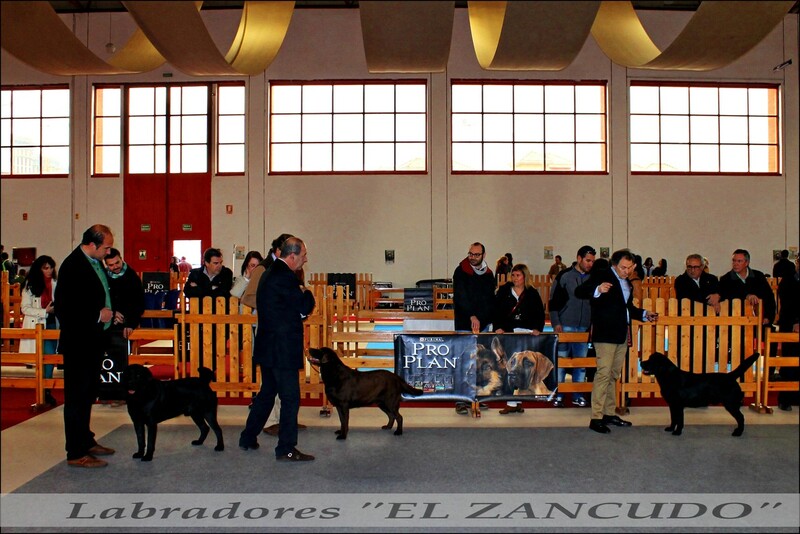 E "INDIA DE EL ZANCUDO", 2 "MUY BUENOS 2º".